Are we encouraging our youth to consider the Religious life? 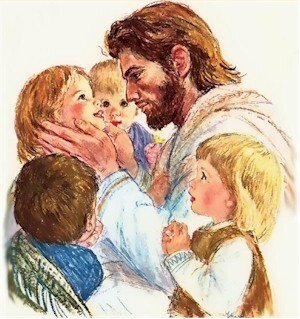 Have you ever noticed a glimpse of Christ in a child or young adult and decided to plant the seed for them to consider that they may be called to such a life? My mother told me that growing up she remembers how she always knew that one of our Priests of the Archdiocese of Nassau was going to one day become a Priest. There is just that glow that one exudes when they are filled with Christ. Some of us may not even realize that Christ is working in our lives until it is pointed out by someone else. As a father, I have been blessed with a wonderful family; a wife, daughter and son. In today's world there are so many distractions that we tend to lose our focus on Christ and the goal to always live each and every day for him. Experiences in life can cause one to take a serious look at our lives and the way in which we are called to live. Having been dealt a tragic blow in 2008 with the near death of my son, I made it a point to ensure that we remember where Christ has brought us and where we ought to be striving to go. Should I be considered crazy for not being bothered if my only son comes to me one day and say that he is considering joining the Priesthood? Absolutely not! To me, it would be a blessing. It is probably every parent's dream to see their children become successful in society today. There are those who want to see them as Doctors, Lawyers, Pilots, Politicians and Engineers just to name a few of the sought after careers, but what about a member of the Cloth or Religious life? Very seldom do you see a parent happy that their one and only child have considered the Religious life. I try as often as I can and at the opportune time to point out the Christ like qualities in my son, thereby allowing that seed to develop and mature, so that when and if it is God's will for him, then he would have no problems in accepting the call. 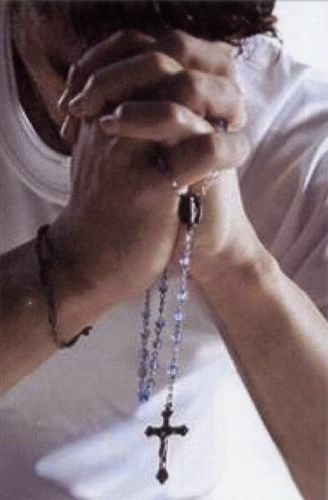 We remind him of how we almost lost him and how thankful we are that he is still with us today. Many people including his teachers have said how humble of a child he is and that speaks volume of his character. It's up to us as parents to mold and instill Christ like qualities in our children at home, so when they are amongst their peers they can have a foundation to stand on where they will know how to identify the sheep from the wolves. We cannot expect the Church, or their Sunday school teacher (one day a week) to instill those qualities in them. They can only assist to develop them, but it's up to the Christian family to take responsibility. 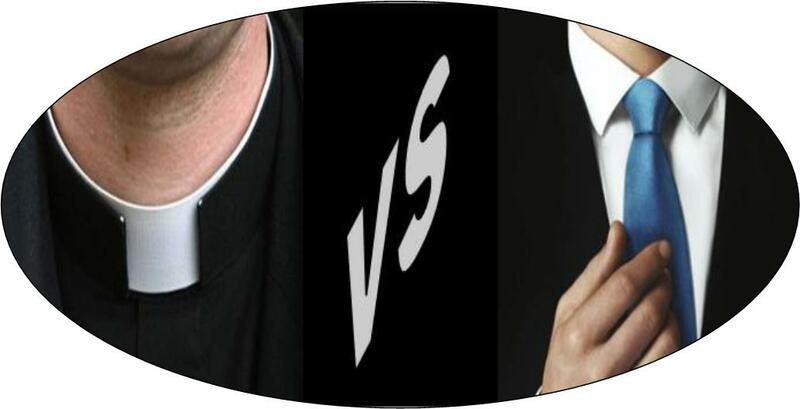 Having observed the Priests over the years at my Parish, I've concluded that being a Priest or Religious is not an easy task as many may assume. 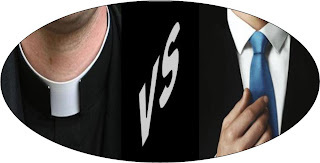 It takes as many as eight to ten years before you are ordained a Priest in the Catholic Church so do not take their teaching of the Faith lightly (four years in college and four years in seminary). Priests are expected to bring people to Jesus and Jesus to the people, by preaching the Word and offering the Sacrifice of the Mass. He is responsible for administering the Sacraments of Baptism, Confirmation, the Eucharist, Matrimony, Anointing of the sick, Penance and Reconciliation and caring for the needs of the people. The Priesthood, even though challenging can also be extremely rewarding. One of the joys of being a Priest is being surrounded by people all the time. Parents, do not discourage your child if he or she says that they feel as though they are being called to the Priesthood or Religious life. Encourage them to seek Spiritual Direction to discern the call to its fullest. We as the sheep need more Shepherds so plant as many seeds in our youth so one day they too can hear that call. Not all of us are called to become the Doctors and the Lawyers, as we see today that even they are hearing the call to come home to the Catholic Church as Priest, Deacons and Religious. All members of the Church are asked to encourage and promote vocations to the priesthood and consecrated life at home, in the parish, at school and in their community.